Bill Tuttle gained a reputation as being one of the smoothest fielding and dependable center fielders in baseball in the 1960s. 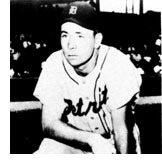 Tuttle and his outfield partner, Al Kaline, combined their talents in the field and at the plate to make the Detroit Tigers one of baseballs most feared teams during the period they played together. 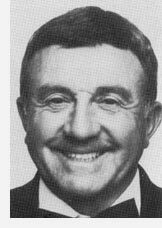 Tuttle started for some of the finest teams in Bradley University history from 1949 to 1951 as he lead Leo SchraIl's teams. In those three seasons he hit .342, .293, and .339 with 13 home runs and 78 runs batted in. His impressive big league career spanned 11 years and 1,270 Major League games. His composite totals for those years of service include a .259 career batting average and 67 home runs and 443 runs batted in. Tuttle has strong Central Illinois ties having been brought up in Farmington before moving on to the Hilltop. Following his Bradley career, he starred in the Three-I League.